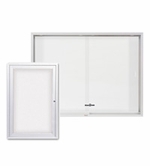 Indoor and outdoor enclosed cabinets. 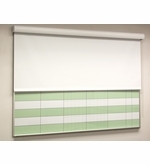 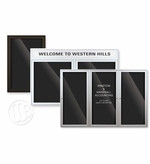 OptiMA has a wide variety of options when it comes to glass enclosed bulletin boards and letter boards and our selection of enclosed whiteboards and conference room cabinets is second to none. 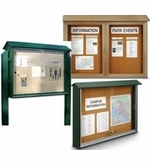 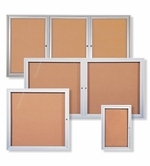 We separate our enclosed letter boards and bulletin boards into two categories of indoor and outdoor because outdoor cabinets are modified with special silicone sealants and special back panels designed to withstand the harsh elements of being used outdoors whereas indoor units don't. 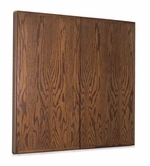 We make it easy for you to select the right cabinets whether you're looking for a changeable letter board, an enclosed bulletin board or a whiteboard cabinet for the conference room or executive office.